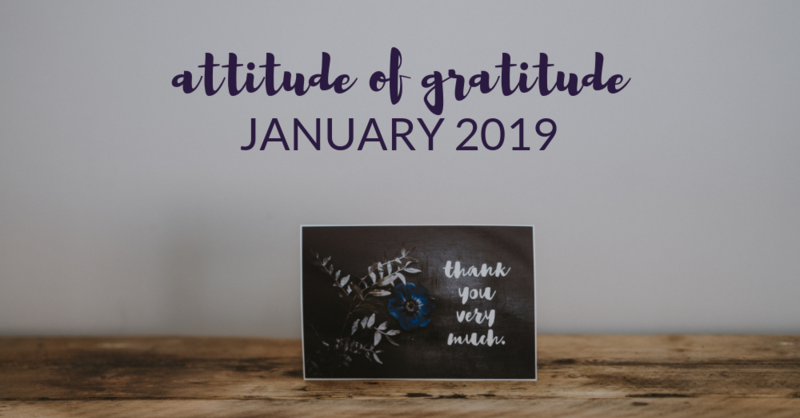 I have preached many times the importance of having an attitude of gratitude and I used to do these monthly gratitude posts but took a step back for awhile. I feel like it’s time to bring them back around again. With a lot going on in my life, positive as well as challenging, I find it really important to focus on the positive things in life and less on my worries. I’ll be honest, this pup isn’t easy. He’s been very upset when I leave and understandably so, upsetting my neighbors but we’re trying some things to see if we can make it any better. I know it’ll take some time for him to get used to our new routine. I’m loving our long walks before and after work and I’m looking forward to some additional leash training so he’ll tug less and to trust him a little more off-leash so I can let him run off some of that puppy energy in the fenced in doggy area of my apartment complex. With that said though, it’s nice having something to come home to after a long day. I started teaching at an additional studio this month which has been great! I’m only teaching Friday mornings but it’s been nice to have a new place to settle in and share my practice. My boss gifted me a spa day for the holidays and I used it the other weekend. I got a facial (I think my first ever), a massage, and a pedicure. It was nice to have a few hours to just settle in, close my eyes, and relax. This is partly in the realm of writing (or rather WANTING to write) but also in regards to my yoga class planning. I’ve been having a lot of fun playing with different flows for my Sunday night class and getting a lot of great feedback. I’ll be honest, I’ve had some days where my mind does NOT feel strong, but ultimately, I know it is because every day, I wake up, I get dressed, and I keep moving forward. My body pulls me through, it’s strong and I know it’s strong. And even in those moments when I feel weak, I still make it through. This is something I’m grateful for every single day. What are you grateful for today, this week, or this month? Share your attitude of gratitude below! After being involved in a car accident, I’m very grateful that we are all ok. I’m also grateful to the repair shop that fixed our car and for our insurance. Oh my gosh! I’m so glad you’re OK! Aw, Poncho sounds adorable. I do love coming home to my dog – she’s a sweetie. I think focusing on the things you are grateful for – even the small things – is always good. And that spa day sounds lovely! The spa day was so nice! I bet it is a lot of work getting your pup used to everything, but it will be worth it in the end! I’m grateful for a warm blankets in a cold week, lol. It’s very chilly here! I hope things are starting to warm up for you too! Also that’s great that your creativity is returning! Trying to do more writing when time allows, too, and on finding more inspiration lately. Hope you have a great week, momma! I’m starting to share gratitude on IG daily. I’m still journaling for myself but trying to share more with the community too. Feel free to join, if that would help! Awww you have a Poncho too! Mine boy is a 160lb great dane so leash training was so very important for walks. The only way I can walk him is with a gentle leader. It was a game changer for us! Good luck on the draining that puppy energy! Getting though that stage is testing but so worth putting in extra work! The spa sounds amazing! And YES to creativity!! Have a great week! Your pup is a Poncho too? Mine came with this name and I just thought it was so cute so I kept it! 🙂 He’s only 43 pounds and hard enough on a leash sometimes! I can’t imagine 160 lbs!